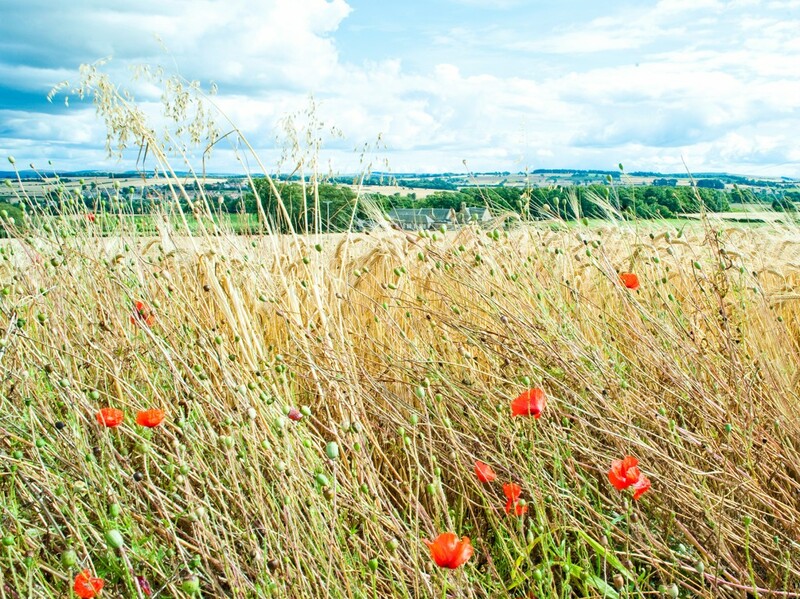 Cranston Country Nursery sits in a rural setting, surrounded by fields, containing horses, cows, sheep and the occasional hare or two. 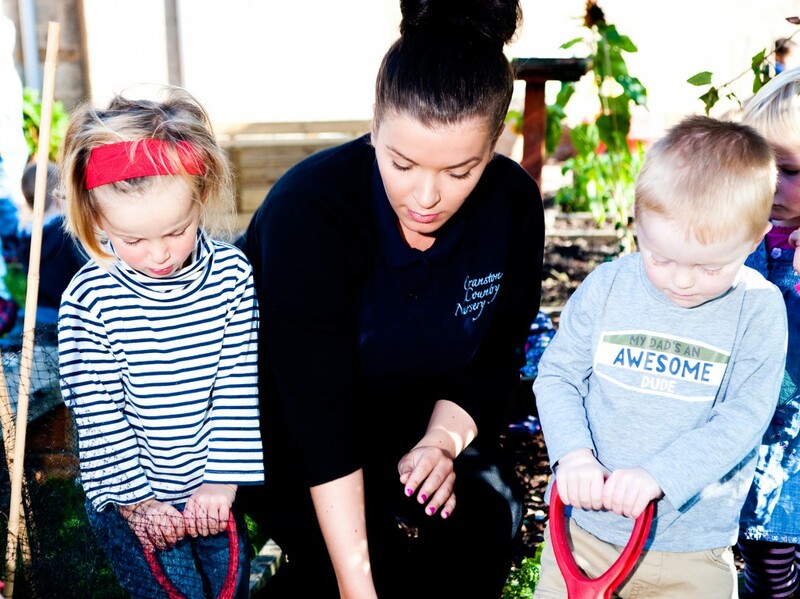 Your child will be cared for in a setting that does not have traffic fumes and introduces them to the animals housed in the surrounding fields. 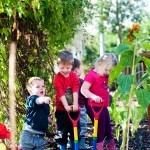 Wild Garden – situated at the rear of the nursery and has trees and bushes. 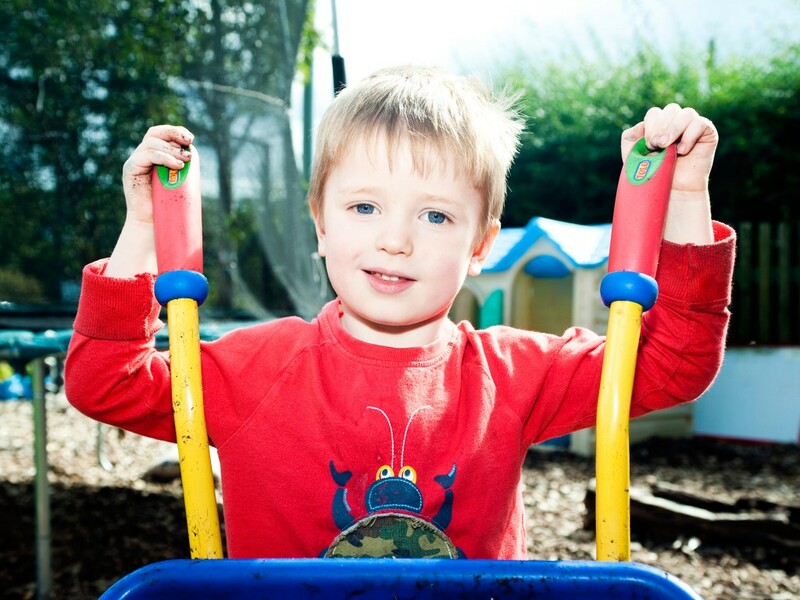 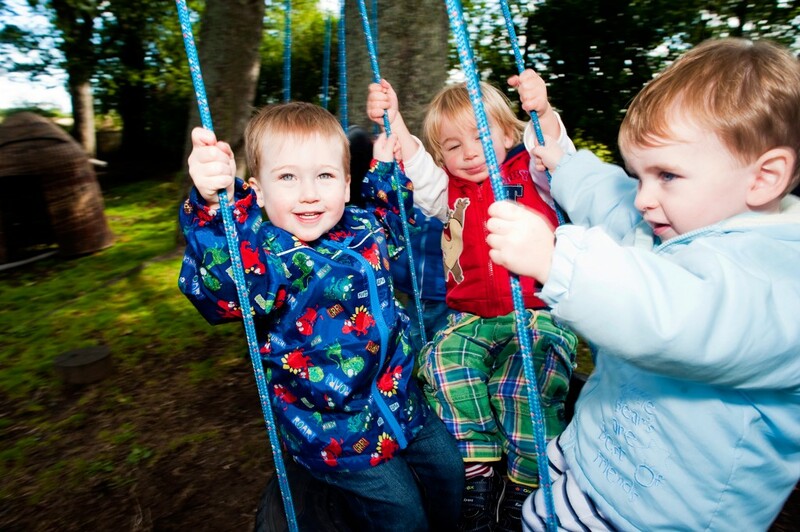 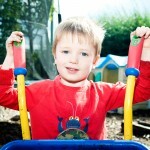 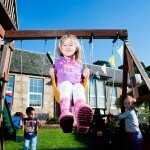 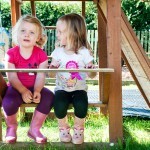 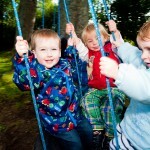 We have tree swings, a sensory garden, a music area and a talking den for the children. 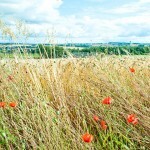 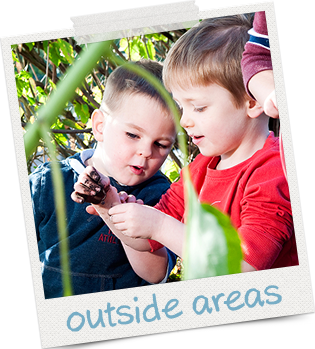 There are only natural resources in this area and children are encouraged to use their imagination. 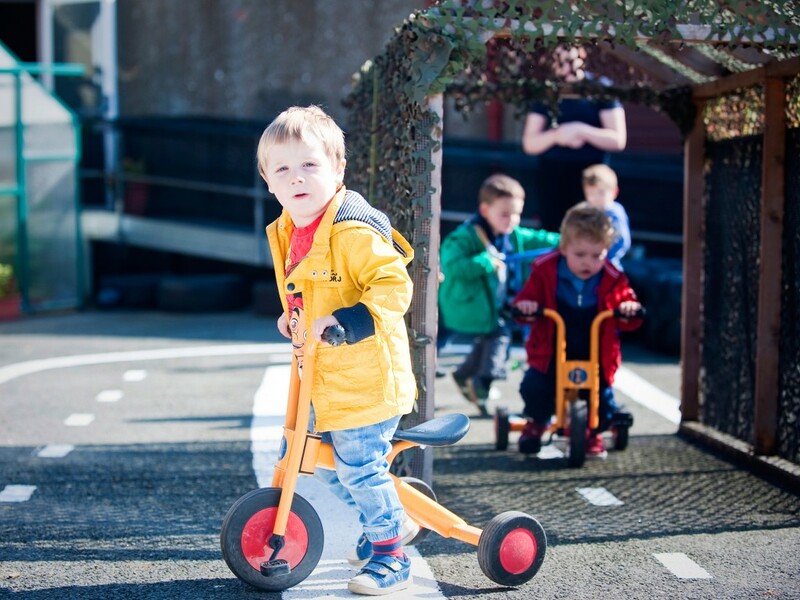 Hard Surface Play Area – This area provides children with opportunities to develop their physical abilities, using bikes on the marked out road, cycling through the tunnel.There are also literacy and numeracy areas. 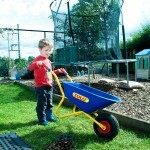 A greenhouse and the many tubs and containers within this area provide opportunities for planting and growing. 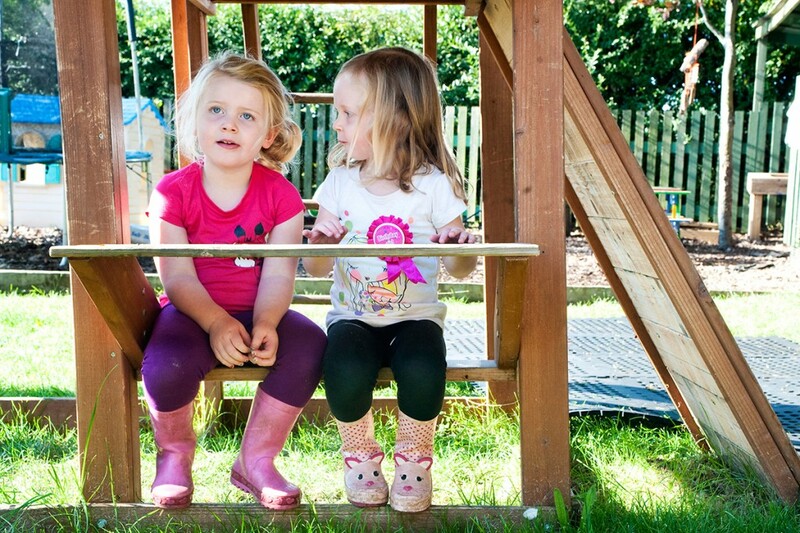 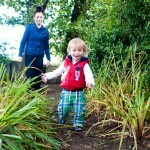 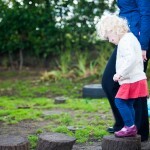 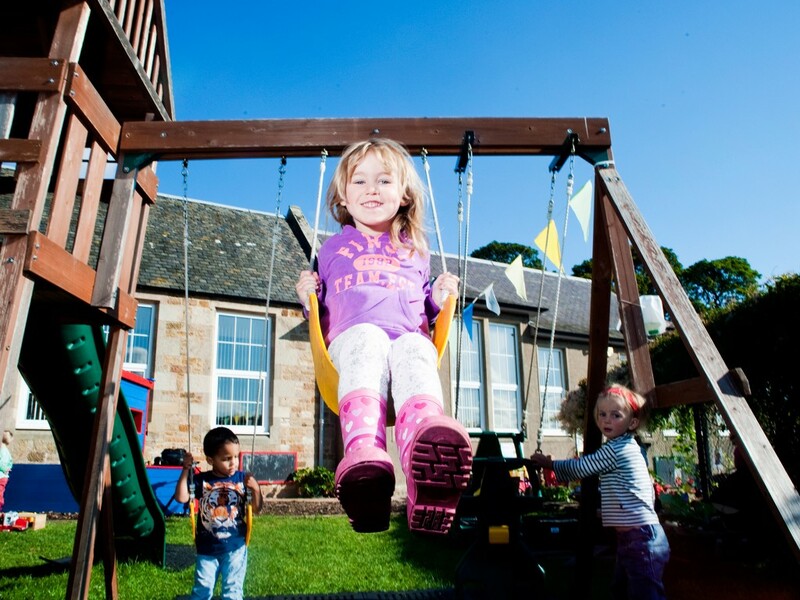 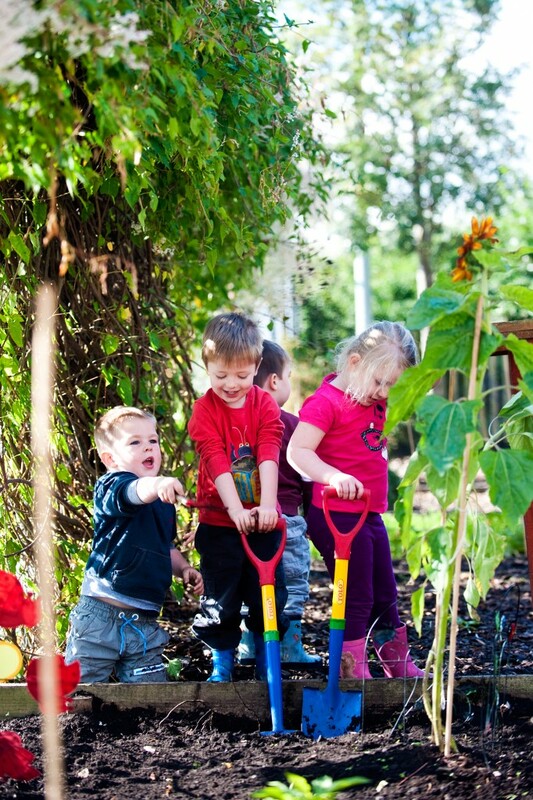 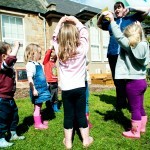 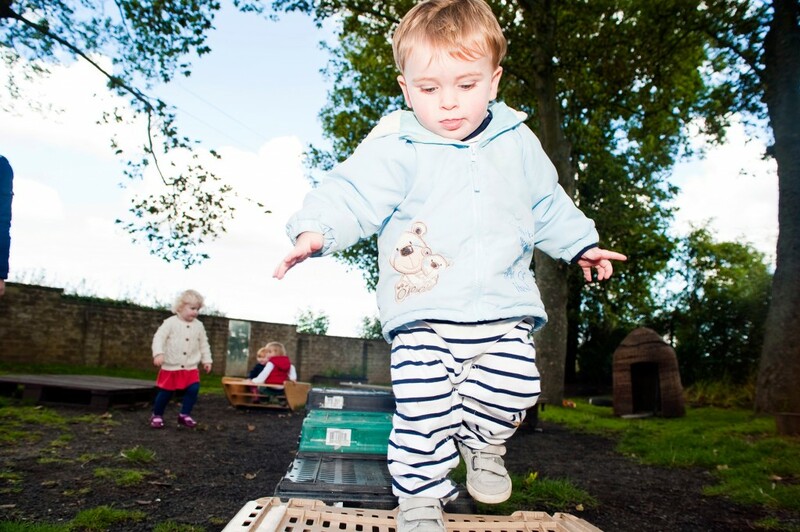 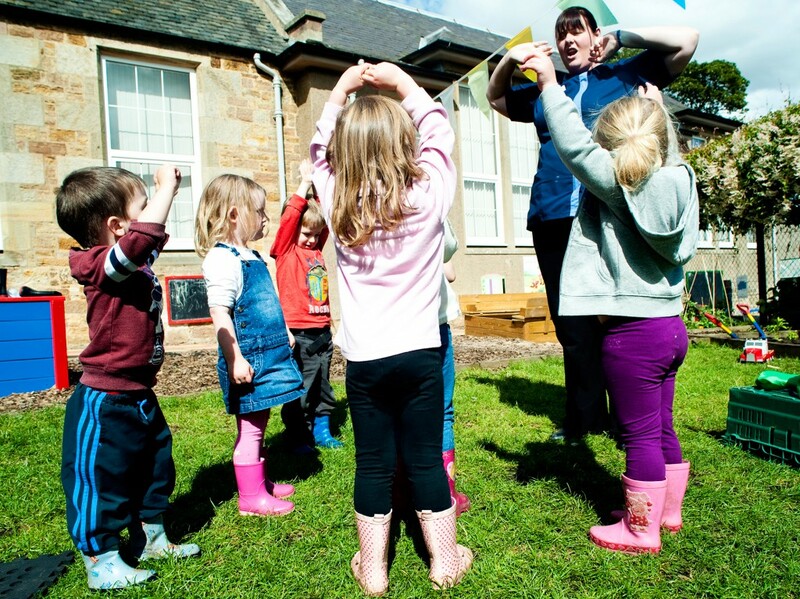 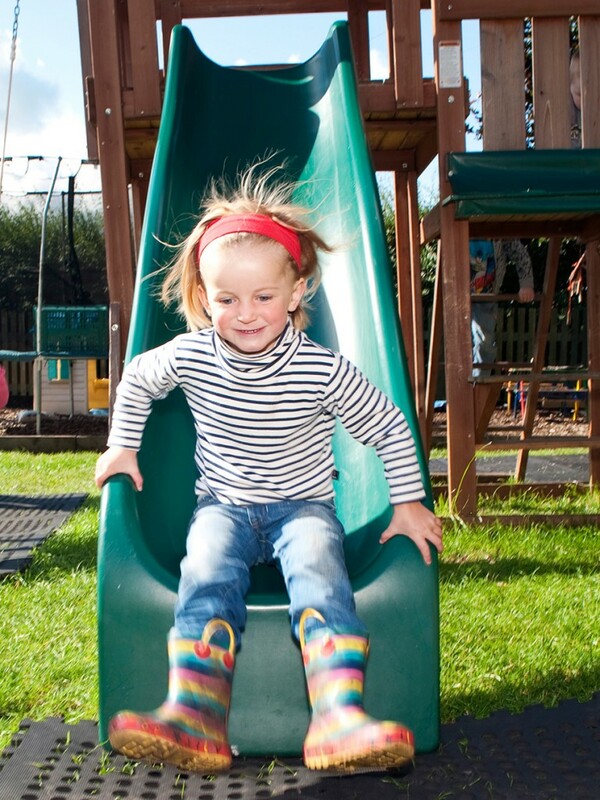 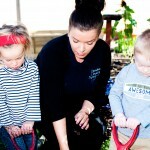 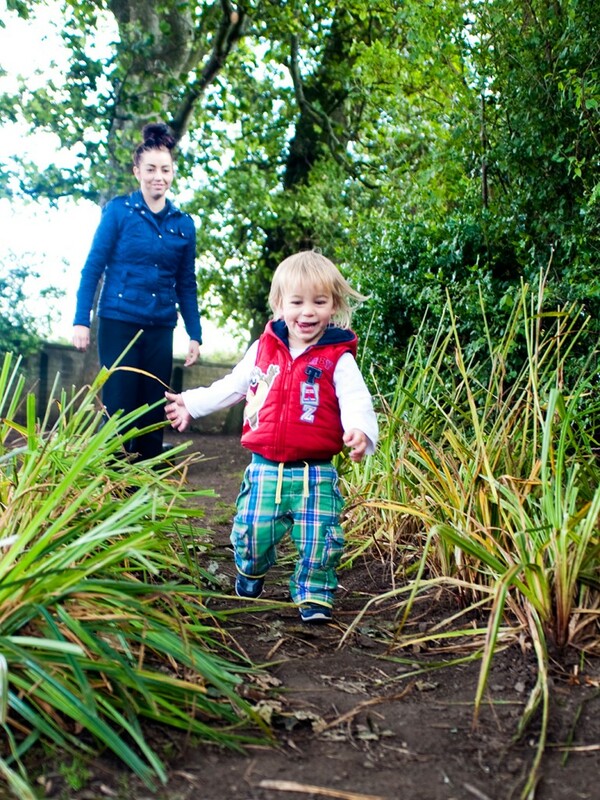 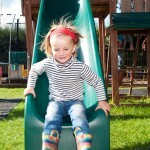 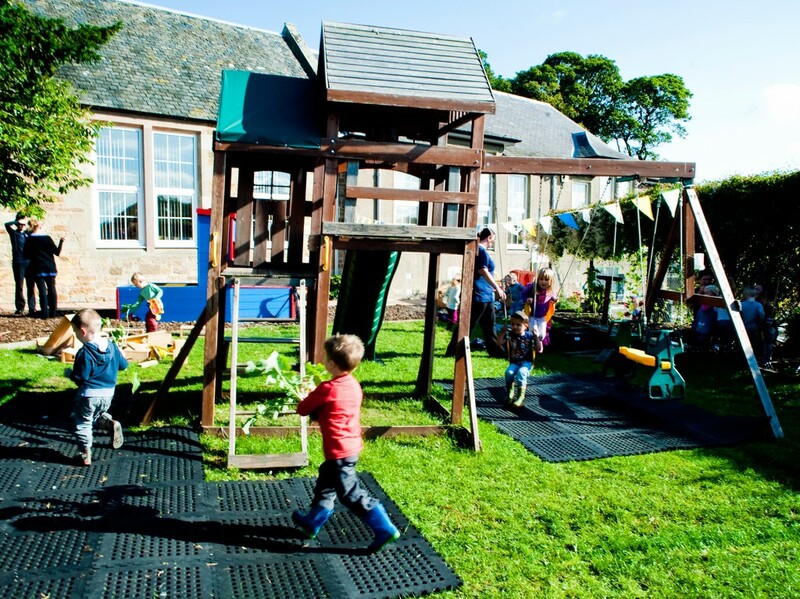 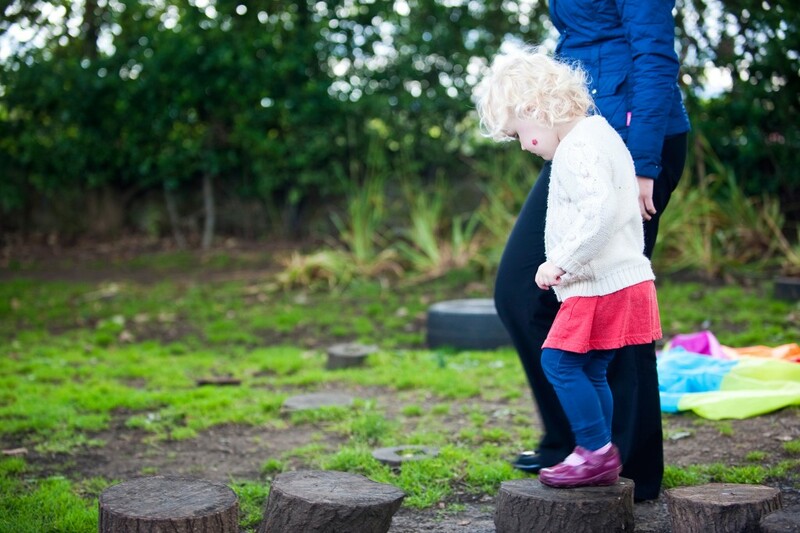 Grassed Area – This area provides a variety of opportunities for the children. 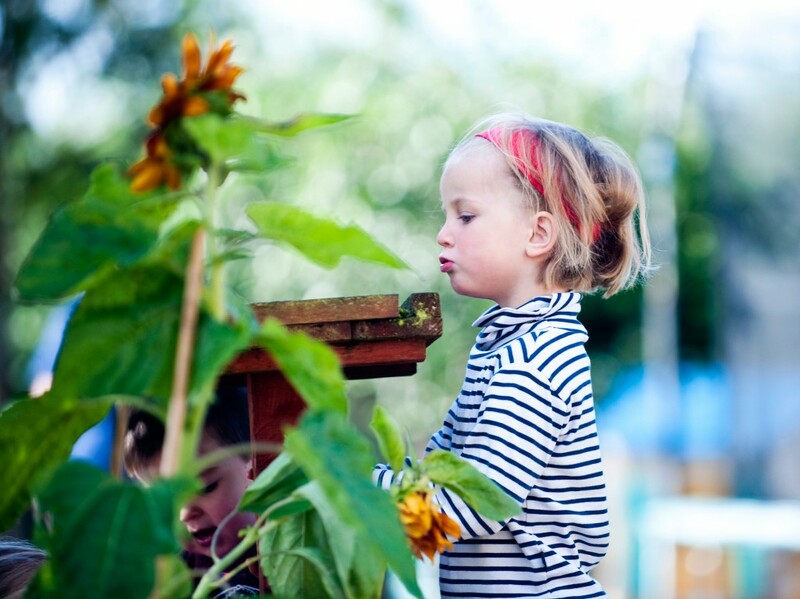 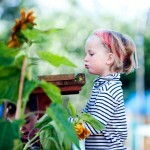 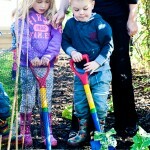 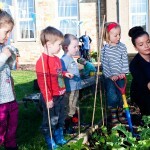 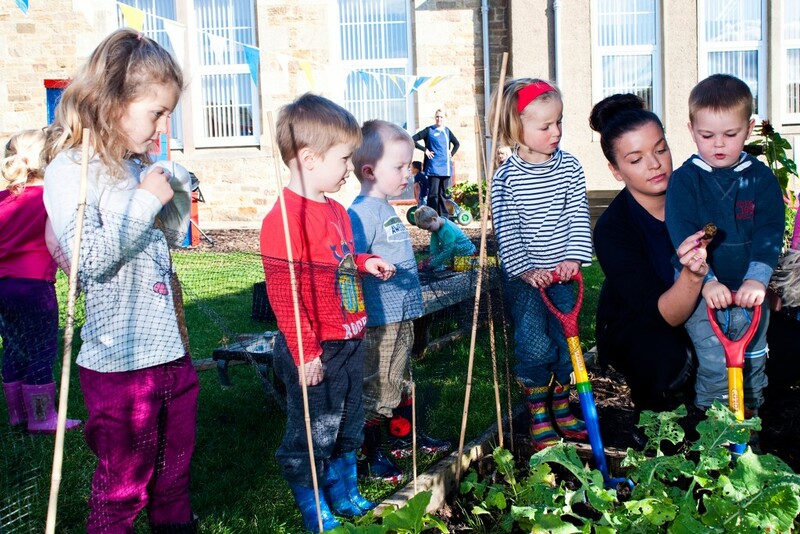 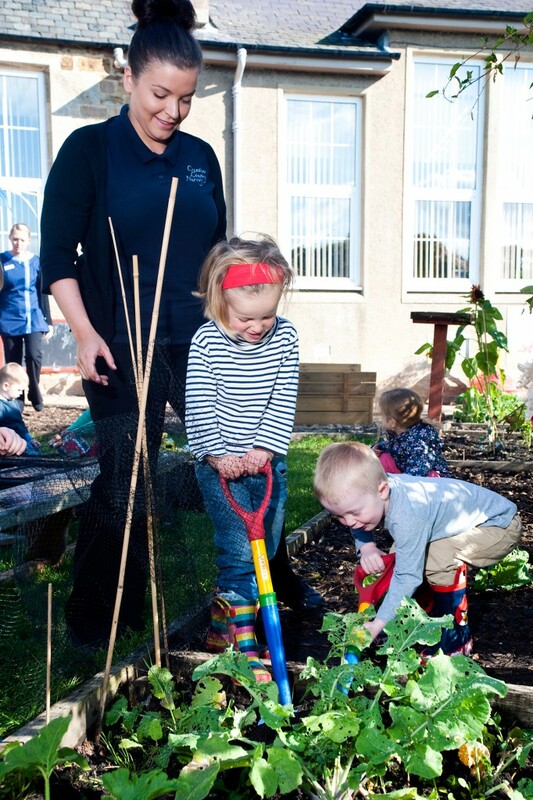 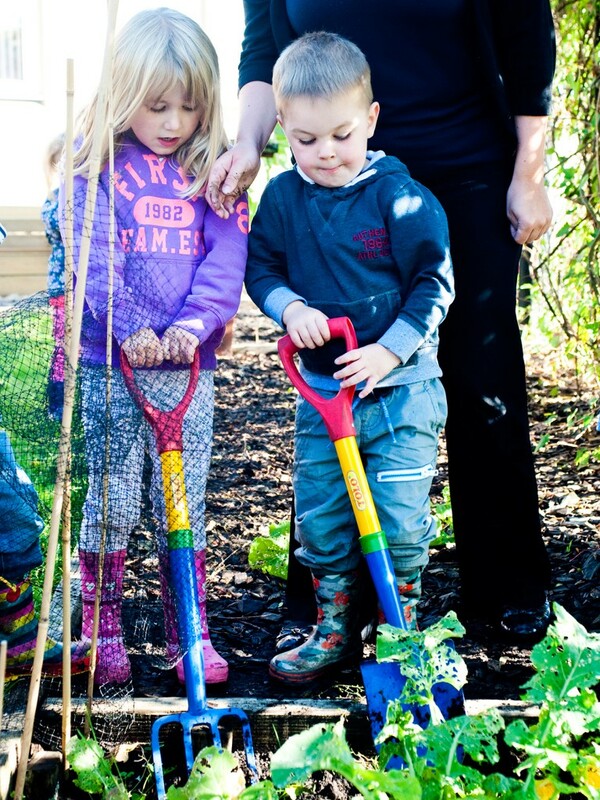 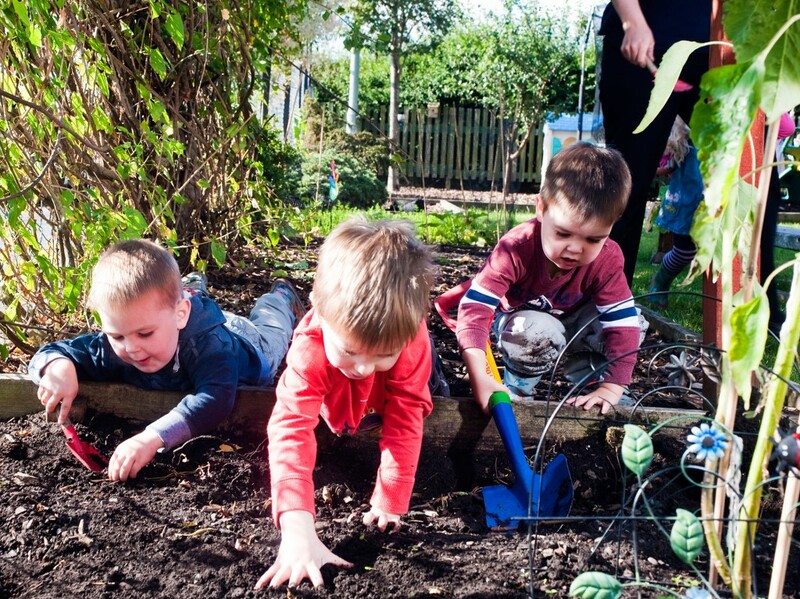 There are planting beds in which children grow their own fruit and vegetables. 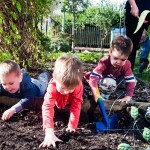 This involves them planting the seed in trays indoors or in the greenhouse, transplanting seedlings outside, watering and caring for the plants at they grow and then harvesting and eating their produce. 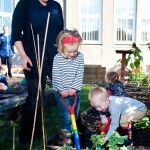 We also have fruit trees. 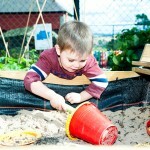 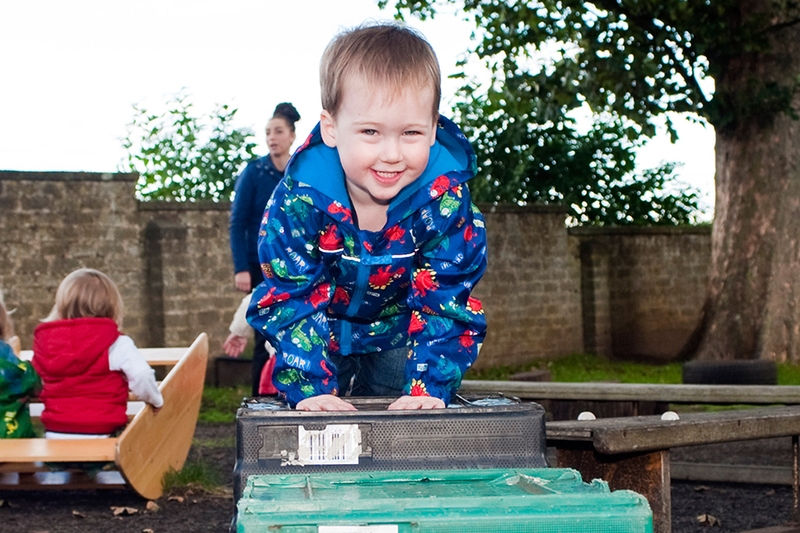 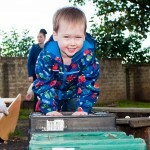 There is a large climbing frame, a trampoline for physical play: a sand tray. 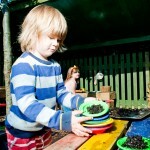 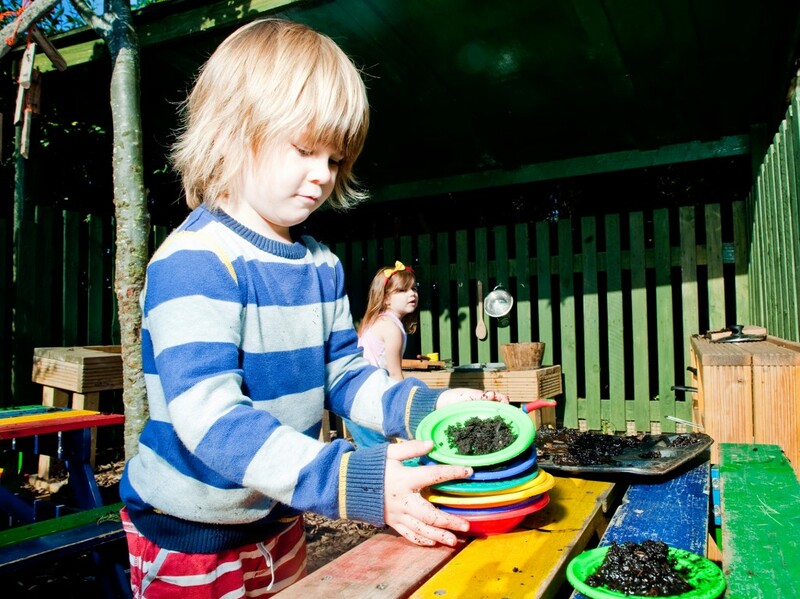 a large mud kitchen for imaginative play. 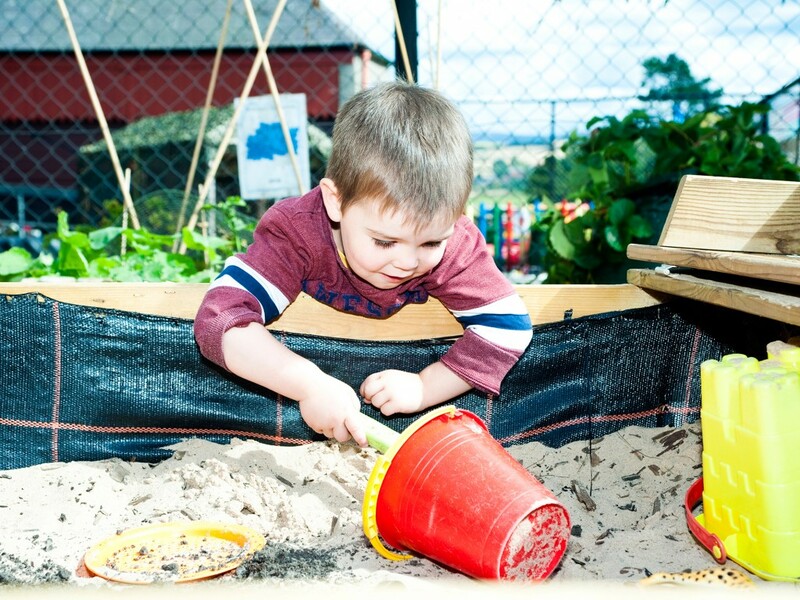 A water area for scientific play. 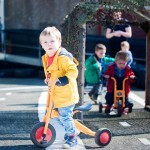 A large boat in which the children travel to many far flung destinations. 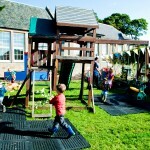 For our very young children we have a separate area used only by them. 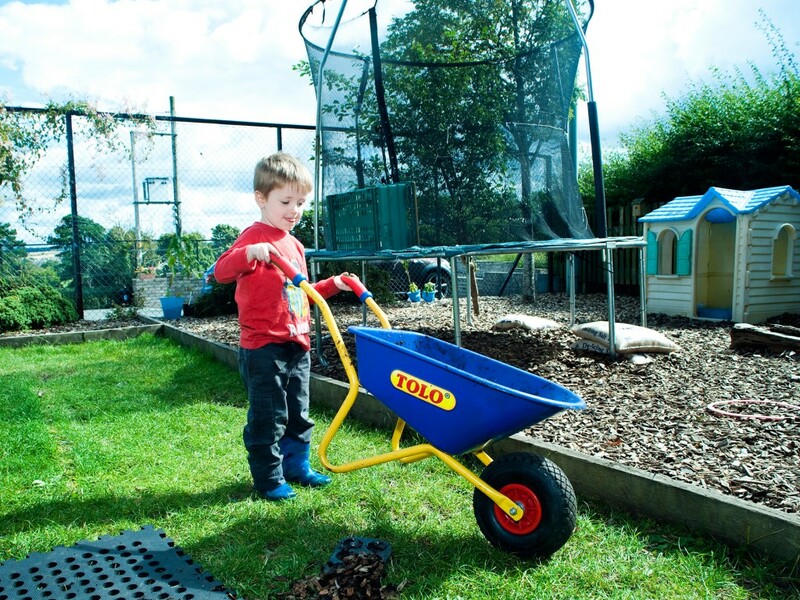 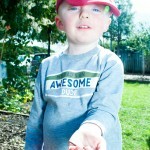 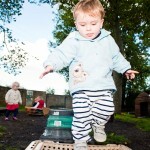 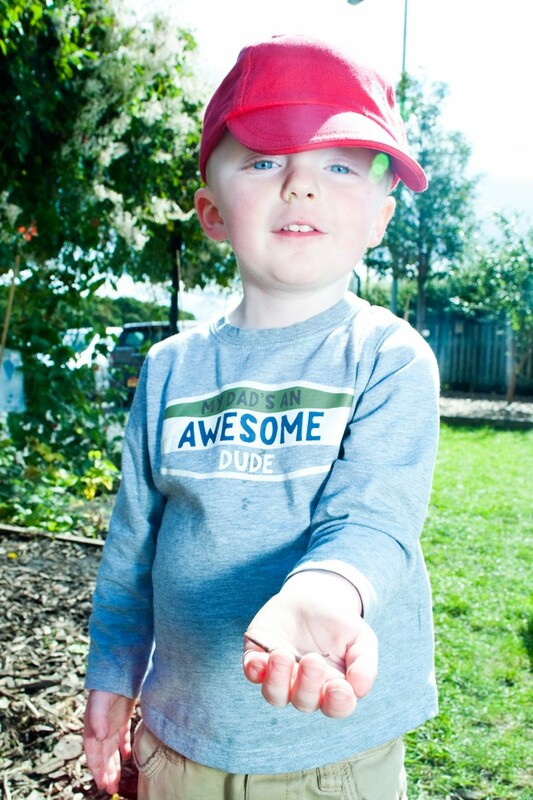 This has both hard and soft surfaces with a variety of resources suitable for the very young child. 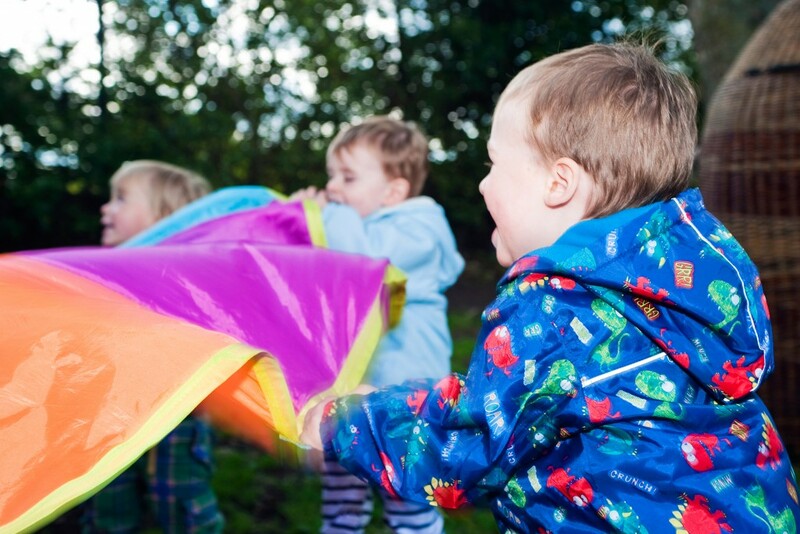 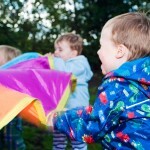 We encourage the children outside regardless of the weather.